Bill and Bev had completed their first four-year term on the field, and they were rather dissatisfied. As they talked together, they realized that neither of them had much satisfaction from serving as missionaries. They were still in love, but they were both disappointed with the way their marriage was going. They both loved their children dearly, but they were not nearly as excited about being parents as they were before they became missionaries. In fact, they had less interest in missions than they had before they served as missionaries. They tried to think of why this had happened. Had they mistaken God's call? Should they change fields or agencies? Should they just stay "home" and become attrition statistics? They finally decided to see what the Bible had to say about dissatisfaction and satisfaction. To their surprise the word "dissatisfaction" did not even occur in the Bible, at least not in the translations they had. They found many passages about satisfaction, but most of them were in the Old Testament. Some of the verses were relevant, especially those in Psalms and Proverbs. Again to their surprise, the New Testament had very few references about being satisfied, and most of those were about eating until one was satisfied. That was little help for their confusion about their own general dissatisfaction, and they began to wonder. What has missionary research found? People have done little research on dissatisfaction in missionaries, and what has been done has been related to marriage rather than to their general satisfaction. However, two good studies have been done. First, Christopher Rosik and Jelna Pandzic wondered about changes in marital satisfaction over a couple's years of service as missionaries. 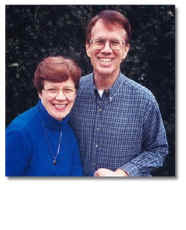 They predicted that satisfaction would decrease during the first few years of missionary service, and then it would increase as the couple adjusted to the new culture. Between 1982 and 2003 they asked 28 couples to complete the Marital Satisfaction Inventory (MSI) three times: (1) during candidacy, (2) at the end of their first four-year term, and (3) at the end of their second four-year term. The missionaries ranged from 23 to 42 years of age at the beginning, and they had been married from 1 to 16 years. Second, Stephen Sweatman also studied missionaries during their first term of service. He looked at the relationship between marital satisfaction and psychological symptoms. He also used the MSI to measure satisfaction. In addition he used measures of anxiety and depression. He asked 34 couples to complete the inventories, and he found a significant correlation between depression and marital satisfaction, the greater the depression the higher the dissatisfaction ("Marital satisfaction, cross-cultural adjustment stress, and the psychological sequelae" Journal of Psychology and Theology, 1999, Vol. 27, pp. 154-162). These two studies found that the level of marital satisfaction could be related to other variables, such as years of service and depression. Because both of these studies were conducted on missionaries and concentrated only on marital satisfaction, other questions rise. Do non-missionaries find similar declines in satisfaction? Do these changes in marital satisfaction also indicate similar changes in life satisfaction? What has secular research found? Rollins and Feldman asked 852 American couples living in Syracuse, NY, at different stages how satisfying their present stage of the lifecycle was. They found that both husbands and wives were most satisfied with their marriage during stage 1 (no children). Then their satisfaction declined through stage 4 (oldest child 6-12), and finally it started to increase again, rising to about that of stage 1 after they retired. Thus, similar changes in life satisfaction occur in people who are not missionaries during the same ages it occurred in missionaries, and changes in marital satisfaction parallel changes in life satisfaction. One question remains, and that is whether this change in dissatisfaction occurs only in Americans or does it occur in other cultures as well? This question was answered recently when Hannes Schwandt at Princeton University conducted a study of life satisfaction in Germany during 2013, research on a European population. He surveyed 23,161 Germans between the ages of 17 and 85, asking them to rate their life satisfaction. He found the highest satisfaction at age 23, the lowest satisfaction at 55, and it peaked again at age 69. His study was published by the Centre for Economic Performance at the London School of Economics at http://cep.lse.ac.uk/pubs/download/dp1229.pdf. Thus people in Western cultures experience an interval of much dissatisfaction in the middle of life whether they are missionaries or not. The missionaries in Rosik and Pandzic's study were all in age categories during which satisfaction is declining, so all ages reported increasing dissatisfaction during their first term. To borrow the first few words from the opening lines of Shakespeare's Richard III, there seems to be a "winter of discontent" in the middle of life, a period when people experience far less life satisfaction. Missionaries often experience less and less satisfaction with their lives as they serve in other cultures, and they may conclude that the problem is unique to them or a result of their missionary service. Of course, some of that decline in satisfaction may be theirs alone, but they must remember that many people experience that increasing dissatisfaction from their early twenties before they had many children until their mid-fifties when their last children leave home. They should not blame God or give up on missionary service. If they recognize that at least part of that decline is common to most people, they are less likely to become discouraged and quit. It is much better to "bloom where they are planted" rather than spend those difficult years moping around and doing little of the Lord's work. Is there any hope for satisfaction? Stage 7 of the life cycle mentions the empty nest, and that may make people wonder about the feelings of grief and loneliness of the empty nest syndrome. It is true that after the last child leaves home, some parents may report depression, loss of purpose, and anxiety. However, far more people find the benefits of having time for each other as well as the freedom and time to do what they have been wanting to do for years. Rollins and Feldman found that during the empty nest years people were twice as likely to find their lives "very satisfying." Furthermore, most people find little dissatisfaction with retirement. During stage 8 about 70% of people find retirement to be "very satisfying," back up to the level it was when they were in their 20s.